It seems I’m playing catch-up on a number of fronts, one being my Beyond Layers course work. A few weeks ago the subject was Storyboards and today I finally got around to making one. The title gives you location, but here is a little back-story. The West Side Market is a landmark in Cleveland and this year marks its 100th Anniversary. 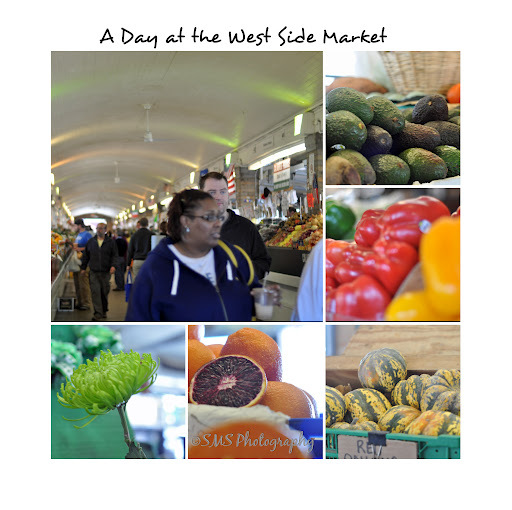 As one of the oldest outdoor public markets, the West Side Market is a staple to many Clevelanders and has been featured on many national cooking shows. I decided to take some shots there this week thanks to Katrina Kennedy’s “365 +1 Prompt” – a daily email I receive to offer ideas for the 365 Project. You can check out her site here, for prompts. So this past week the theme was food, and while I don’t find my meals that photographically interesting and was lacking in that category I sought out fresh foods. Enjoy, and as always if you see something you like or just want to acknowledge your visit, please leave a comment! Previous Previous post: One Stitch at a Time ~ I Will Not Be Defeated!